"Thank you baby Jesus," writes Carol Tyler in Fab 4 Mania, "for being born at the same time a new Beatles album was released!" While those are no longer words that fans can write, on any given Christmas they can count on any number of new Beatles books hitting shelves. This year, that number includes two fun visual takes on "the world's favorite band." That designation appears on the cover of Visualizing the Beatles, by designers John Pring and Rob Thomas (no, not "Smooth" Rob Thomas). 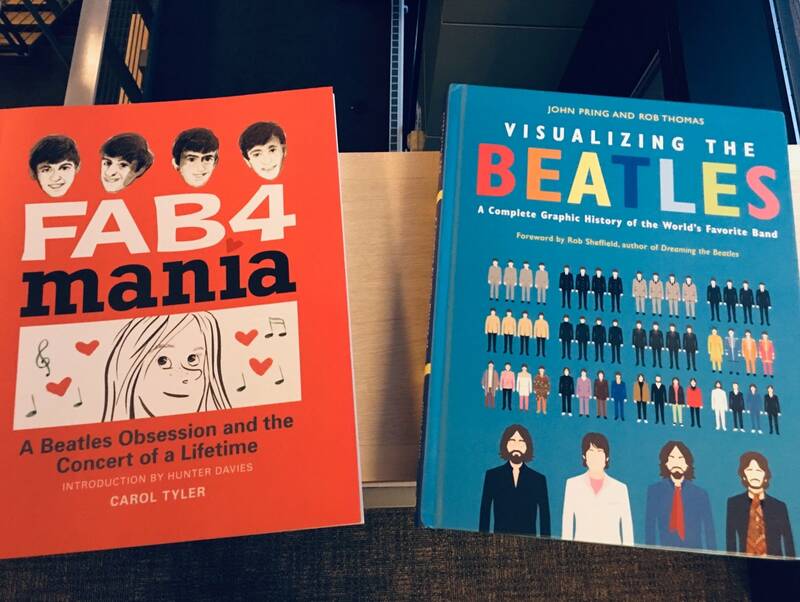 In addition to being an entry in the overstuffed Beatles book canon, Visualizing the Beatles is also part of the burgeoning genre of infographic volumes. Pring and Thomas walk through the Beatles' decade-long history with a series of graphics capturing information like what words occur most on each album (on Please Please Me it's "love" and "la," on the White Album it's "know"), what keys each album's songs were in, and where the band's tours took them. Superfans will certainly love the book, even though it doesn't really do much to shed new light on the band's work. From that standpoint, the most compelling infographics are the charts showing which band members wrote which songs on each album, with bars gauging the relative contributions of John Lennon and Paul McCartney on songs they co-wrote. 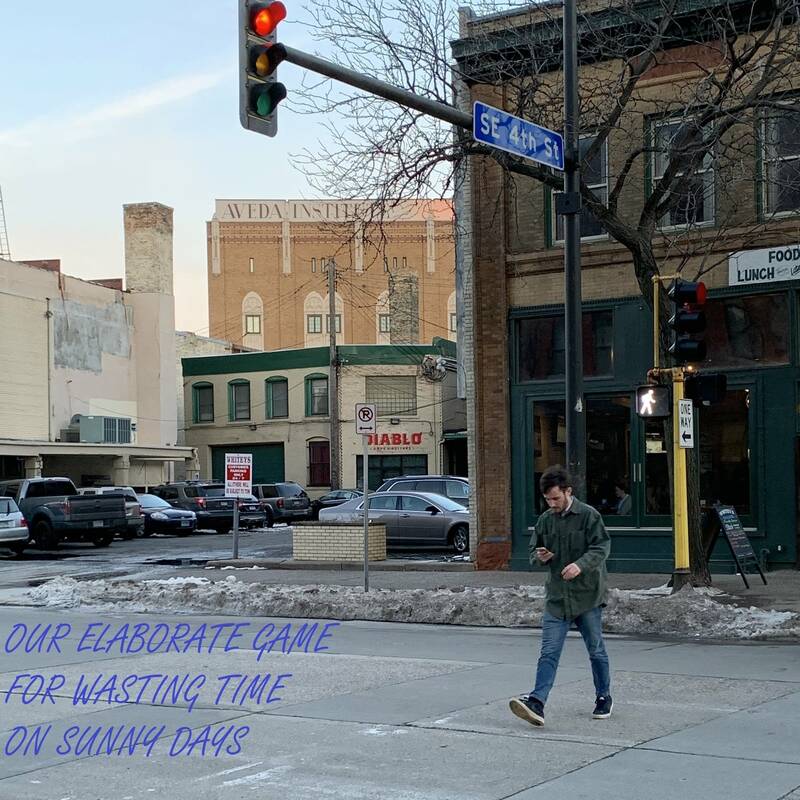 It might also appeal to casual fans who recognize the iconic album covers and know a lot of the band's songs, but need a little help fitting everything into order and context. Maybe the coolest thing Pring and Thomas could do with their work, though, would be to create posters from images like the book cover (tracking the group's sartorial history) and the page showing how the foursome's hairstyles evolved over time. Meanwhile, the utterly charming Fab 4 Mania takes a much more down-to-earth look at the band's early years. Carol Tyler is now an award-winning cartoonist, but in 1964 she was an eighth grader in Catholic school in Fox Lake, Illinois. "I remember my life before Feb. 9, 1964," she writes. "Pretty blah." When the Beatles made their Ed Sullivan Show debut, young Carol was awakened. "The lightning struck," she writes, "right after I heard Paul sing, 'Close your eyes and I'll kiss you...' The bolt of lightning was so bright, nobody else was in the room, it blanched them out." Fab 4 Mania is a new book of illustrations and handwritten text, based on a journal Tyler kept during those formative months from February 1964 through August 1965, when she — gasp — saw the Beatles live and in person at White Sox Park. "I screamed the whole time," she wrote. "A few times I had to stop and breathe for a second, but the screaming never got any quieter." Her Beatles obsession is a constant throughout: she doodles portraits of all four, including Ringo, who's her favorite by default because no one else in the Beatles Fan Club of Fox Lake (membership: five girls) wants him. Other music from the era seeps in around the edges as well. Carol and her friends put their fingers in their ears and sing to drown out the sound of Terry Stafford's "Suspicion," which rudely knocked the Beatles off the top of the Hot 100. Her brother and his friends get obsessed with "Wooly Bully." Her sister stacks 45 RPM singles: "Surfin' Bird," "Be True to Your School," "Walk Like a Man," "Wipe Out," "Louie Louie," "Sugar Shack," "It's My Party," "If You Wanna Be Happy." "Guess what?" writes Carol. "I like those songs, too. But I'm not going to tell them that. To me, these songs are SILVER. But the Beatles: GOLD."